This is a small hawkfish which grows to about 2-3 inches. It has cirri (little feather-like projections) on its top fins which are used to attract food sources. 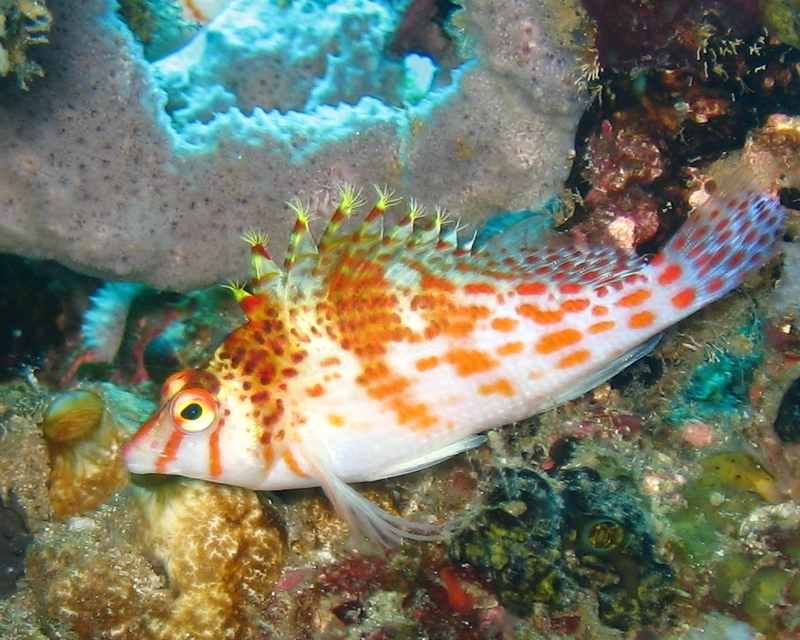 Like other hawkfish, it will sit on rocks and corals waiting for food to come by. It shouldn’t be kept with very aggressive fish otherwise it might not get any food.